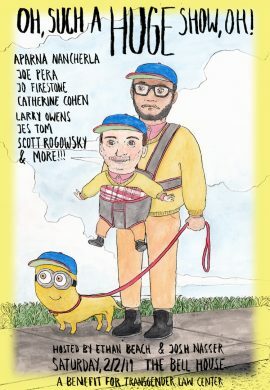 Yes, you’ll have to make the trek to Park Slope for this, and yes, the ticket price is a little higher than the average comedy show. 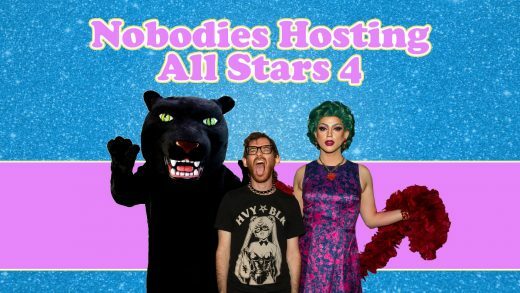 But that’s because this isn’t your average comedy show: this edition of Josh Nasser and Ethan Beach’s comedic romp is bigger and better than ever, as it not only contains a whole host of some of the comedy world’s most interesting and entertaining performers, but all proceeds will go to the Transgender Law Center. 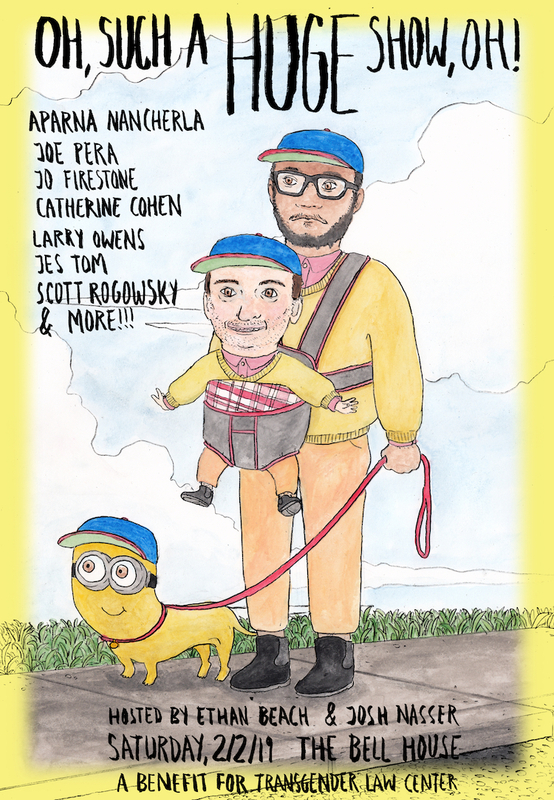 The lineup includes Jo Firestone, Aparna Nancherla, HQ’s Scott Rogowsky, Cat Cohen, Jes Tom, Larry Owens, Joe Pera, and maybe even some animals? You’ll have to see for yourself.